The Canadian Broadcasting Corporation (CBC) is reporting that a recently-published study by Health Canada found that the vast majority of canned soft drink and energy drinks contain bisphenol A, a known endocrine disruptor and estrogen mimic. 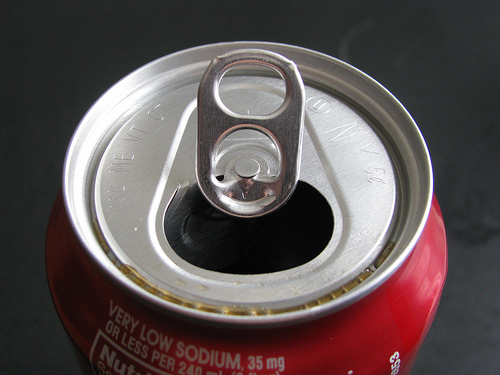 The study, published in the Journal of Agricultural and Food Chemistry in January, tested 72 canned drinks purchased in 2007 and found detectable levels of BPA in 69 of them. The levels are within the limits of what Health Canada considers “safe,” however, some critics believe that there is no safe level of this chemical, pointing out that studies in peer-reviewed science journals have shown that BPA can increase breast, ovarian, and prostate cancer cell growth in animal testing even at very low doses. Other critics point out that if soft drinks were our only source of exposure to BPA, perhaps the assertion of safety would be warranted. However, BPA is present in many canned foods, and many people drink considerable amounts of canned soft drinks, increasing the potential exposure. BPA is used in the lining of metal cans as well as certain plastics. Canada banned the sale of polycarbonate baby bottles containing BPA in October 2008, the first country in the world to do so. The US has not as yet instituted any similar bans, although one county in New York is taking steps towards this legislation. While Health Canada maintains that the general population does not have to be concerned with these recent findings, it remains committed to ongoing research into the safety of BPA and the health implications of its use in our food supply. The Canadian government has allocated $1.7 million dollars over the next three years for this research.